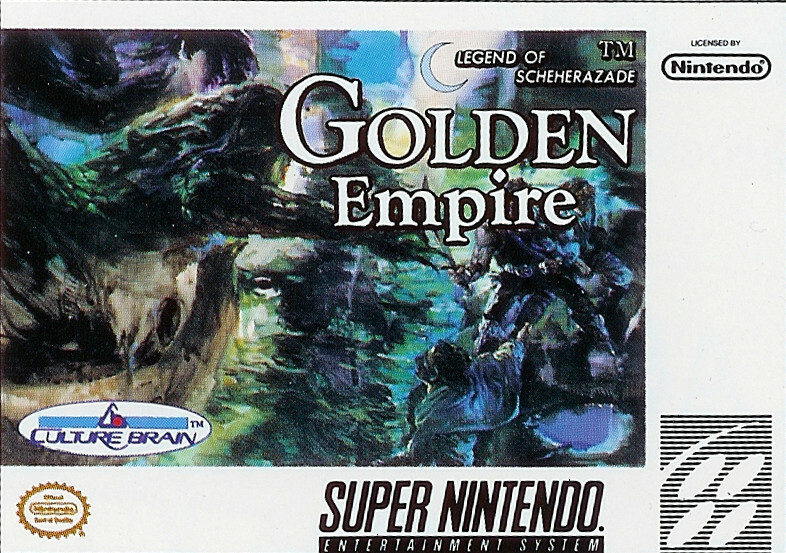 Golden Empire was an unreleased game by Culture Brain. This title was in the April 1992 issue of Gamepro in a listing of games shown at the 1992 Winter CES. This game was going to be the sequel to the NES RPG, Magic of Scheherazade. In my searches on Google, I was able to find out that the trademark of the game was registered in March 1992. Preliminary box art for this game also exists. Listing in the April 1992 issue of Gamepro. Scan courtesy of Retromags.